I was visiting TJ again. You remember TJ, he is my grandson who asked, “How many Wheat Thins is not too many” (Blog, 9/26/2011). His mom was on another business trip and I am delighted to report that I was the “sitter of choice”— probably because of how well I handled the Wheat Thins dilemma, don’t you think? TJ was excited about his new Beyblades. A Beyblade is a high-performance spinning top that was popular 11 years ago and seems to have resurrected. The small plastic and metal top gets its spinning power from a plastic cord. When the cord is pulled through a plastic receptacle, the Beyblade drops into a plastic arena. Competing tops spin and bump each other, and the winner is the one that spins the longest. When asked if I wanted to play with them, I noted that I didn’t know how to use a Beyblade. “Don’t worry, Gram. I will teach you how to do it!” TJ said as he opened a plastic case filled with multicolored Beyblades. I chose a red one. TJ showed me what to do by verbalizing every step he was doing. He checked to see if I understood, and then let me do it. When I did not do it correctly, he told me what I was doing incorrectly, demonstrated the process again, and gave me another turn. My guess is he learned this coaching process from his mom who has shown him how to pass with a lacrosse stick, frost a cupcake, and phonetically sound out a word. And then it struck me. I consistently use this coaching model to help sales reps increase productivity, yet I forget to apply this effective way of teaching outside of my work. And more broadly, in my professional life, I am consistently prepared, organized, on time, and communicate effectively, but sometimes in my personal life I miss the mark! I am not two different woman depending on my setting. Rather I am one woman with skills to positively impact my surroundings, whatever they be. 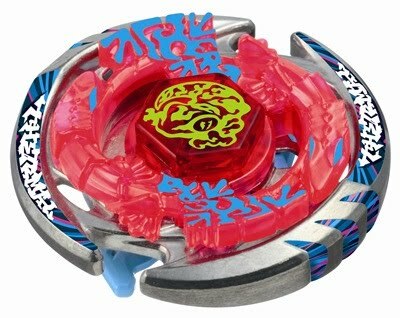 As with the Beyblade, I know how to pull the cord for maximum effectiveness and I need to do so throughout my day. A high SUCCESSTROGEN level woman is effective in every aspect of her life. Her skill sets carry from her work to her personal life and back again. She is consistent in her behavior and the impact she has on others, 24/7! I guess I have a little work to do. And you? Are there some areas of your life where you take the time to be at your best, and others where you just don’t make the effort? please forgive my late response to your question about how I clear my head…I don’t think I do…my head is most often cluttered and perhaps that is why I write!–the act of writing clears my head. But some things I know I do because I am so visual, is that I have an idea about which I would like to write and the first thing I do is look for a google image or photo and post it on top of my page—that visual seems to keep me focused…also, I have developed a model or format for each blog so I stay true to that model, also keeping me focused. I hope this is helpful. Be well and thank you forr reading Successtrogen!!! For some unknown reason (could be my own poor follow up) I am just reading your comment. For me, sitting down and writing is what clears my head!!! Likely sounds crazy, but when I have an idea, I log it so I don’t forget it (I am 68 and forgetting comes easy). And I generally write every day–it is relaxing for me. I also am usually working on several things at a tine so I go where I feel the flow and when it stops, I switch to another topic I have captured or started to blog about. Keep at it, if you like to write, you will be good at it and it will get easier and easier. Initially structure a writing time…you will see how afterwards you feel as though ou ave cleared your head and you will greatly anticipate finding time the next day to get the same benefit! !